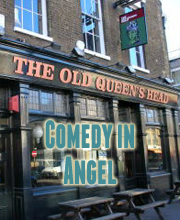 Laugh Out London comedy club returns to the Dogstar in Brixton with another great night of eclectic comedy headlined by German comedy ambassador HENNING WEHN. The funniest German there has likely ever been. Regular appearances on QI, 8 out of 10 Cats, Radio 4 and more. The ultimate break-out comic from last year’s Edinburgh Fringe for a show that mixed props, clowning, mime and silliness to create an hour that was universally acclaimed, including winning Chortle’s Best Show of 2015. Terrifyingly talented musical comic who’s also a member of the incredible Austentatious improvisation group.